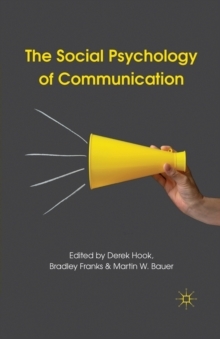 This is the first comprehensive text on social psychological approaches to communication, providing an excellent introduction to theoretical perspectives, special topics, and applied areas and practice in communication. Bringing together scholars of international reputation, this book provides a unique contribution to the field. Pages: 371 pages, XV, 371 p.